Reports from one of the Senegalese news agents, Grand Place in Dakar indicates that one of Thione Seck’s sons Alioune Seck has been implicated in a money laundering scandal similar to the one his dad has been charged with. According to Grand Place, three Senegalese were arrested in Keur Massar with counterfeit francs denomination of 10000, 5000, 2000 and 500 and counterfeit manufacturing arsenal was also among the materials seized by the Senegalese police. Meanwhile, captivated by residents due to their flamboyant lifestyles, the men were reported to the police by residents and the police conducted investigation into their activities which led to their subsequent arrest. According to Grand Place, the three men indicted Alioune Seck as the mastermind behind the group. One of the men arrested said that he had an appointment with the son of the lead singer of “Raam Daan ‘for another ticket multiplication operation. Police investigations are ongoing, but Thione Seck’s son has not been arrested yet as he is alleged to be out of the country, but the three men have been referred to prosecutors. 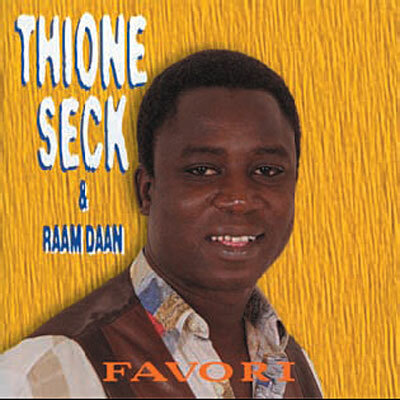 However, speaking from prison of Cap Manuel, Thione Seck denied this latest scandal rocking him and his family, “I want to thank all my friends for the support they have continued to show me since the start of the event. I want to reassure them that I saw the incarceration with great faith after being satisfied that it stems from the will of God. I live well and continues to give thanks to God. However, given the course of events, I ask myself a number of questions that I want to share with all my friends. Since the beginning of this case in which I am a victim, he goes weird things that lead me to ask myself questions. It was always about conspiracies perpetrated by powerful lobbies. There was also talk of Masonic Lodge and other sponsors. I cannot condone these allegations, but I cannot help thinking that indeed there are some strengths lurking in the shadows who want to bury myself, ” said Thione Seck in a message. ← The Former Secretary General, Momodou Sabally Freed or Pardoned, But….!! !